Do note that Name Display only shows the name of callers, whereas caller ID will show the number. The latter is still a $7/month add on and not part of this value pack. Just last week Rogers introduced new monthly plans priced $5 higher than before but now included caller ID and voicemail. 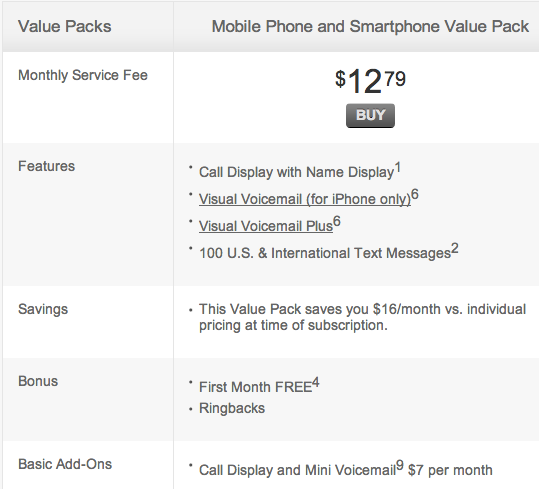 If you’re still on the $12.79/month value pack, you should be able to call in and switch to the $5 value pack then add on call display for $7, which will save you $9.48 annually and add unlimited US/international texting. Let us know if you plan to make any account changes.